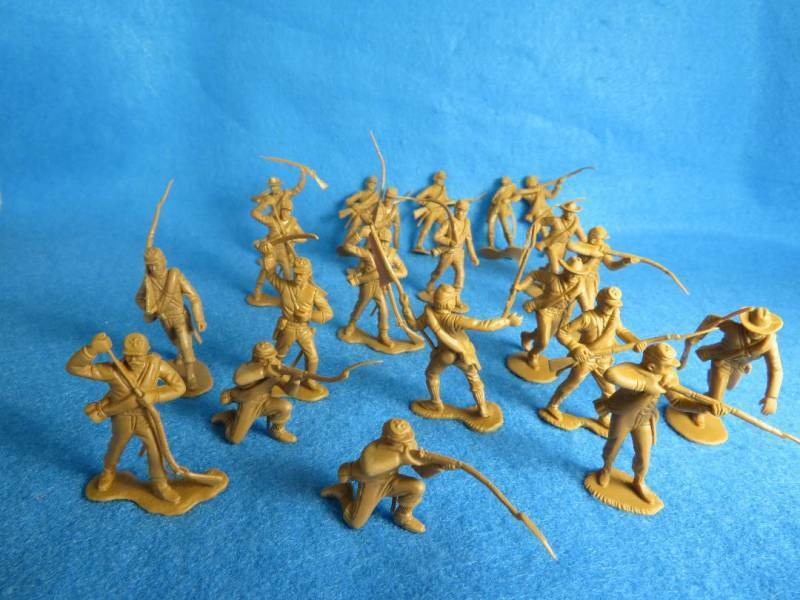 Marx Confederates 22 figures in butternut at a special price. Marx MXR119F Confederate Infantry 22 figures in butternut. (these figures have slight mold defects. (a run that was probably removed from the molds too soon, resulting with bent and twisted figures. Some are perfect but others have problems with bent weapons or bases and occasionally bent at the waist. MOST CAN BE STRAIGHTENED BY DIPPING THEM IN BOILING HOT WATER THEN REPOSITIONING THEM WITH YOUR HAND.